Ray is the Operations Manager at SERVPRO of Fredericksburg. 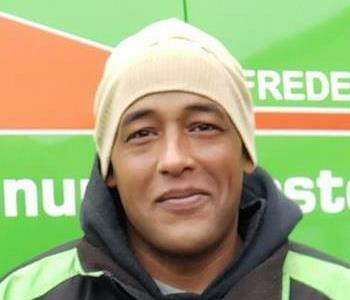 He has been with SERVPRO of Fredericksburg since September of 2008. He enjoys spending time with his family and his church family. 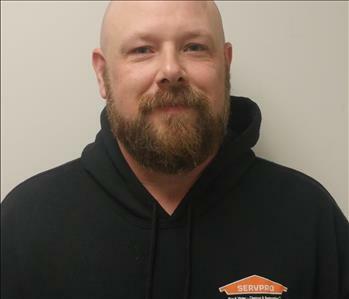 When asked what is his favorite thing about working at SERVPRO of Fredericksburg, Ray said “I enjoy the fact that my job allows me to do something different almost every day. I also enjoy meeting our customers because each one of them has a different situation. Patsy Geel is Accounts Manager with SERVPRO of Fredericksburg and has been with us since May of 2008. Patsy also helps plan marketing events for our company and attends marketing events in the community. 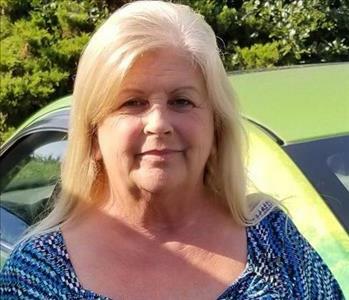 Patsy was an ambassador for the Fredericksburg Regional Chamber of Commerce and continues to attend ribbon cuttings, grand opening and after hour events for local businesses. Patsy grew up in Stafford, VA, where she attended school and then moved to Spotsylvania, VA, where she still lives with her husband. Patsy has two sons, four grandsons and a German Shepherd - Apollo. She loves spending time with her grandchildren and attending their sporting events. Patsy is certified in the following areas. 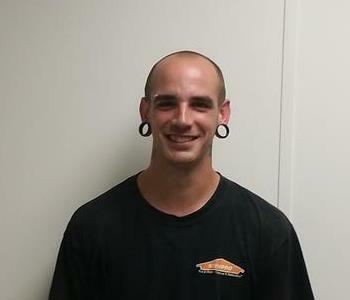 Nick is a Crew Chief at SERVPRO® of Fredericksburg and has been with us for 1 and a half years. Some of his interests and hobbies include building computers and cooking. The last question we asked Nick was, What is a fun fact about you that people may not know? He said, “For the last year and a half I have been really getting into crypto currency and the technology behind them.” Wow! Thank you, Nick, for being a valuable part of our team here at SERVPRO® of Fredericksburg. Joe has many years in the restoration industry. Joe enjoys spending time with his wife and attending auctions on his time off. Rachel Turner is an Billing Specialist and has been with our team since July, 2018. Rachel was born in Woodbridge, Va., and lived there with her family until she was 7 years old when they moved to Fredericksburg, Va., where she has resided since. Rachel has two younger sisters and a 1 and ½ year old Doberman named Zeus. Rachel worked a retail job during her high school years and after graduating from Courtland High School in Spotsylvania, Va. Rachel worked for Geico in the Home Owners Insurance Division. In her spare time Rachel enjoys spending time with her family and boyfriend, reading, traveling and shopping. 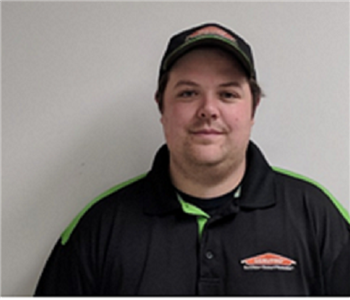 Steven is our warehouse manager and has been with SERVPRO of Fredericksburg since August, 2018. Steven grew up in Spotsylvania, Va. and now resides in Stafford, Va., with his girlfriend and their son. 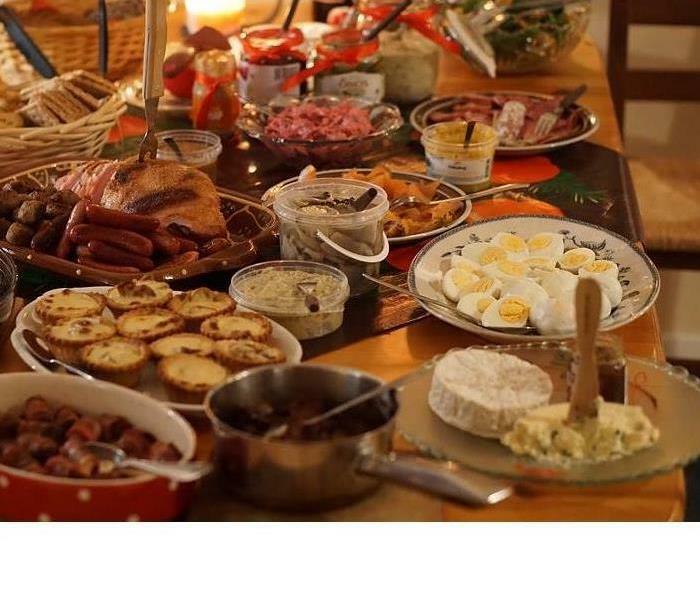 He graduated from Stafford High School and worked in the restaurant field before coming to SERVPRO. Steven loves spending time with his family. He also enjoys taking photos of nature and tinkering with automobiles in his spare time. 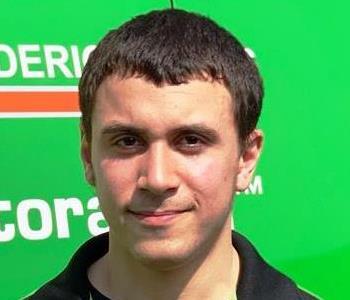 David has been with SERVPRO of Fredericksburg since February, 2011 and is a Project Manager. He grew up in Spotsylvania, Va. and still lives there with his family and boxer named Courtney. David likes to be in charge of the grill during BBQ'S, he enjoys fishing and four wheeling. David has a real love for amusement parks and roller coasters, he has made it a point to visit many different amusement parks while on vacation. David started working in restaurants in high school and worked his way up to management. He then went in to direct sales before coming to SERVPRO. 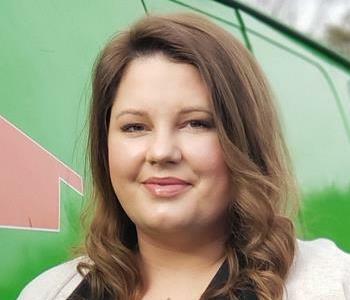 Shelby Stratton is the HR Manager / Marketing Manager at SERVPRO of Fredericksburg and has been with the company since April of 2018. Shelby grew up in Orange County VA, where she attended school and graduated from Orange County High School in 2008. She choose to work in the health care field and became a Certified Nursing Assistant. 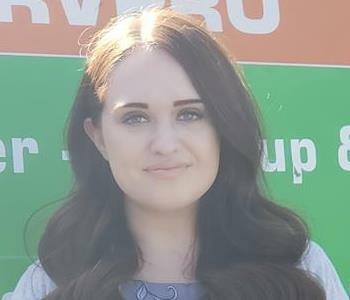 Shelby continued her career in the health care field for 11 years and managed a home health agency prior to coming to SERVPRO. Shelby has two boys, two girls and a boxer named Duke. On her days off and in her spare time she loves spending time with her children and Duke, cooking and watching true crime TV. 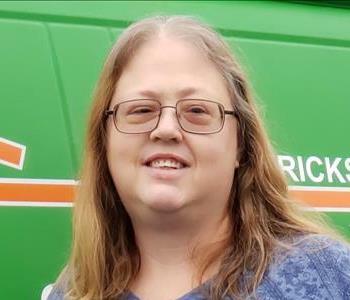 Heather G. is an administrative assistant and has been with SERVPRO of Fredericksburg since June of 2018. Heather was born in Logan, Utah and moved to Albuquerque, NM., when she was a teenager. Heather made Albuquerque her home for 23 years before moving to Virginia in 2016. Heather has a fiancé', a daughter and a 4 1/2 pound Chihuahua Pochi. Heather started her career in the insurance field handling auto claims before deciding to move on to an administrative assistant career. On her days off and in her spare time Heather enjoys spending her time with her family. 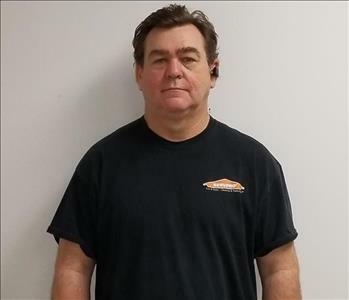 Robert Chapman is a Technician and has been with SERVPRO of Fredericksburg since April, 2018. Robert was born in Kassel Germany and lived there until 1993 when his family moved to Newport News, VA.
Robert graduated form Denbigh High School in Newport News, VA. and has a certification in auto mechanics. Robert resides locally with his wife Athena, his 2 girls and 2 boys and enjoys spending as much time with them as he can. They have a small dog, Ella. Robert also enjoys spending time with his wife playing XBOX together. Robert is fluent in speaking, writing and reading the German language. 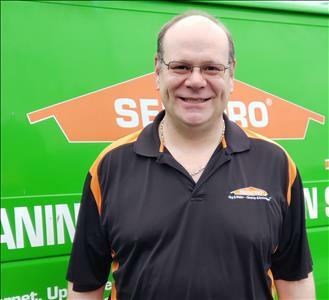 James is the General Manager at SERVPRO of Fredericksburg. 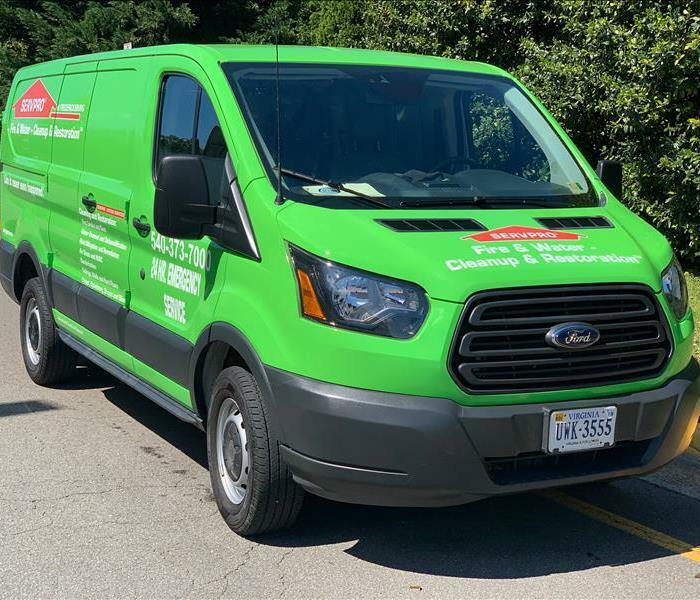 He has been with SERVPRO of Fredericksburg since the franchise opened in 1998. He lives with his wife Jennifer in Spotsylvania, Va. where he also raises different types of cattle. In his spare time he enjoys spending time with his granddaughter. 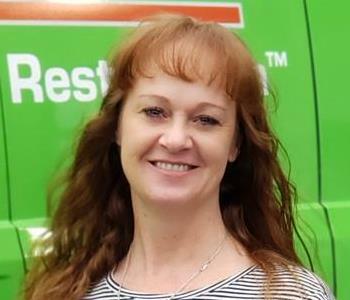 Jennifer is a dedicated member of the SERVPRO of Fredericksburg family and as an Administrative Assistant has been a huge part of keeping it striving since starting her position in October of 1991. Jennifer was born in Richmond, Va., and grew up in the Mechanicsville, Va. area. Jennifer graduated from Lee Davis High School in Mechanicsville, Va and then attended Northeastern Christian Junior College in Villinova, Pa.
She then decided to start a career in the nursing industry and became a Certified Nursing Assistant for 9 years. Jennifer is married to James and they reside in Partlow,Va. they have 3 daughters and a granddaughter. Jennifer lives on a mini farm with lots of cows, chickens and a pet cat named Sidney. In her spare time Jennifer enjoys playing with her granddaughter Gracie and her family. She also collects M&M memorabilia and loves anything polar bear and panda bear related. 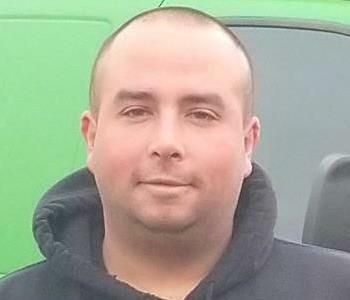 Brian joined our team as a Technician in December, 2018. He is from Springfield, Ma. and moved to Stafford County, Va., where he grew up and graduated from high school. He has his forklift certification and flagger certification. He loves NASCAR, the NFL and the NBA. Brian is engaged to be married and has a one year old daughter. They have 2 labs, Maple and Autumn and when he is not working he love spending time with his family.